MarBeth Dunn is a mindset, success, and energy management specialist who helps highly-sensitive women professionals to create personal and economic miracles. A spiritual teacher for over 30 years, MarBeth uses her intuitive abilities to accurately pinpoint the hidden issues holding you back from your greatest successes. To that end, she has developed the powerful Miracle Activation Technology© System, an integrative approach to activate Your Miracle Power breakthroughs to greater confidence, alignment, financial success, emotional freedom, peace of mind, and more harmonious relationships. Known as the Mindset & Miracles Mentor, MarBeth Dunn has a huge mission; to bring joy and happiness to millions of highly-sensitive women professionals. 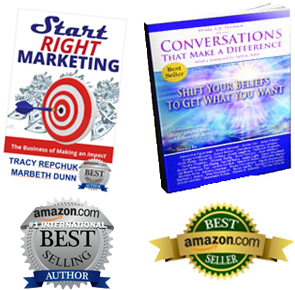 MarBeth is the co-author of the International Best Seller, “Start Right Marketing,” and Best Seller, “Conversations That Make a Difference.” She is the former host of Having it All with MarBeth on the Law of Attraction Radio Network, and Founder and past President of the Miami Holistic Chamber of Commerce. To work with MarBeth and see how she can help you create miracles through energy management, click HERE to apply for a FREE 30 Minute Clarity Consultation. For more information on booking MarBeth for your next event, please send an email to service@marbethdunn.com.